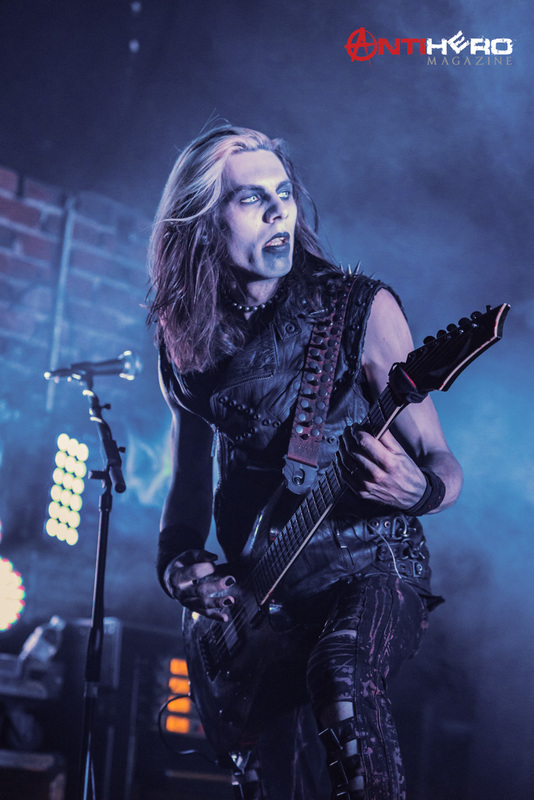 The 2017 Blood, Lust and Death Tour recently came to Arizona Pete’s, in Greensboro N.C. for a night of high-energy performances not only from the tour’s headliners, Combichrist and Dope, but also from opening acts September Mourning and Davey Suicide. 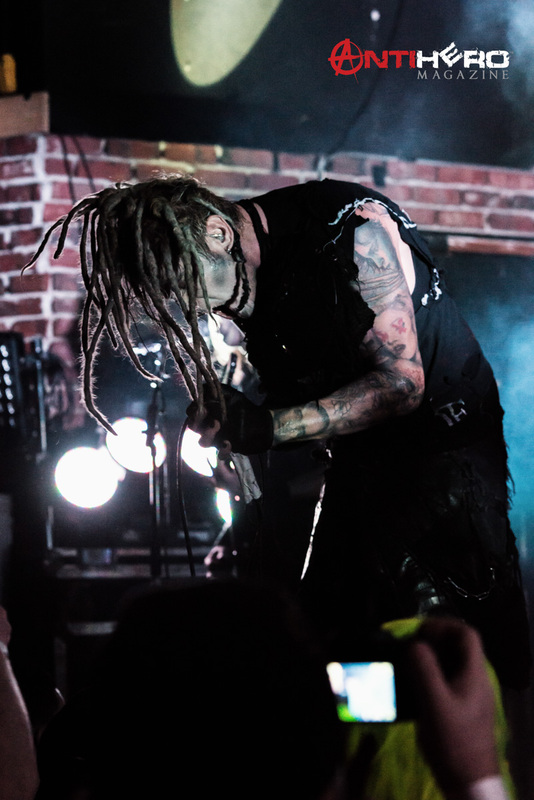 This was Davey Suicide’s first major tour since the release of their third album Made From Fire. 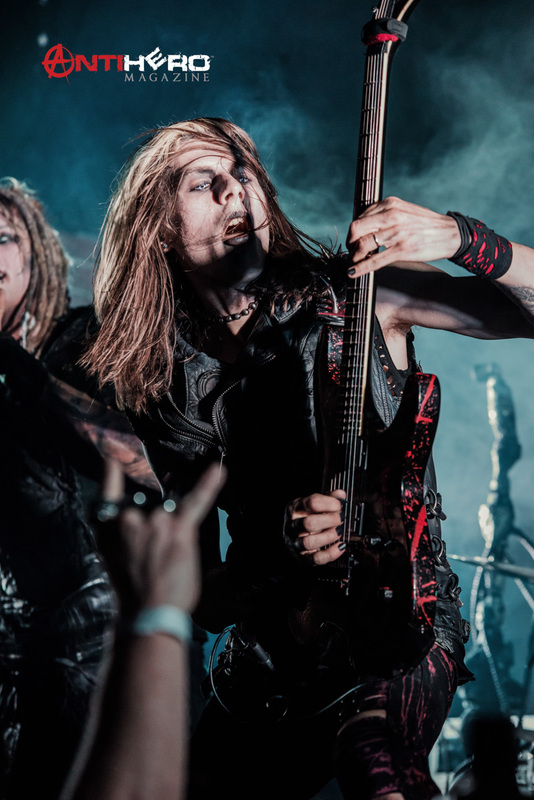 The album was released independently through the band, who recently split from their recording contract after a grueling court case in which the court decided on behalf of Davey Suicide. The Punk/Metal act from Hollywood, C.A. was the first to take the stage, delivering a energetic performance, capturing the hearts of fans in attendance. 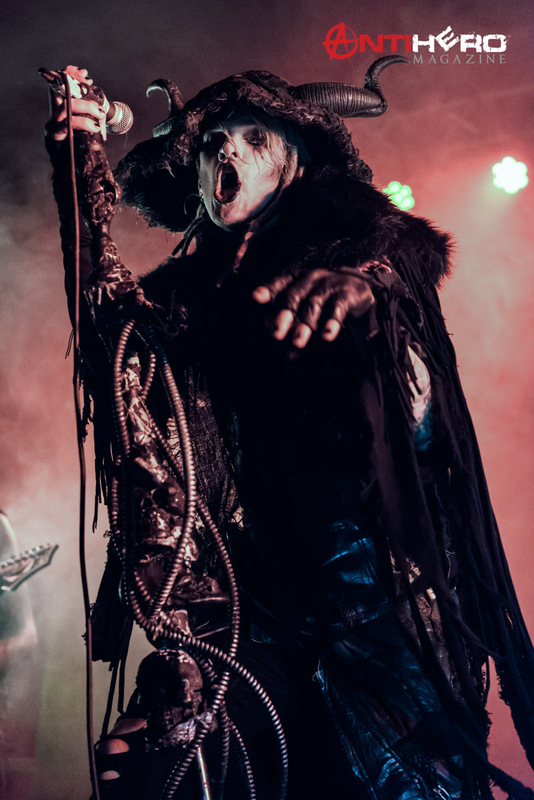 The band’s showmanship and costumes made for a very entertaining show, helping the band to gain new followers to their music. 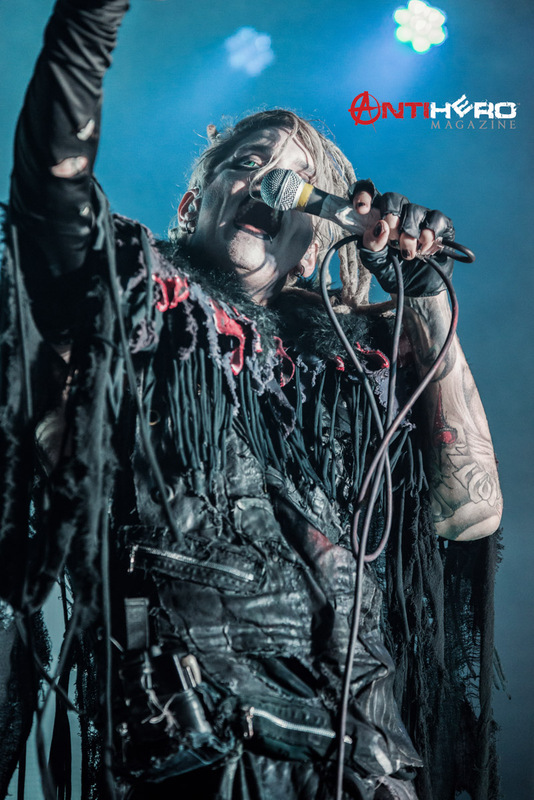 We spoke with founder and lead singer, Davey Suicide after the show and he described the tour as “a passing of the torch,” also stating that “this tour was the best” that the band had done in years. James Geiser: First off, tell us a little bit about the tour, how the tour’s been going so far? 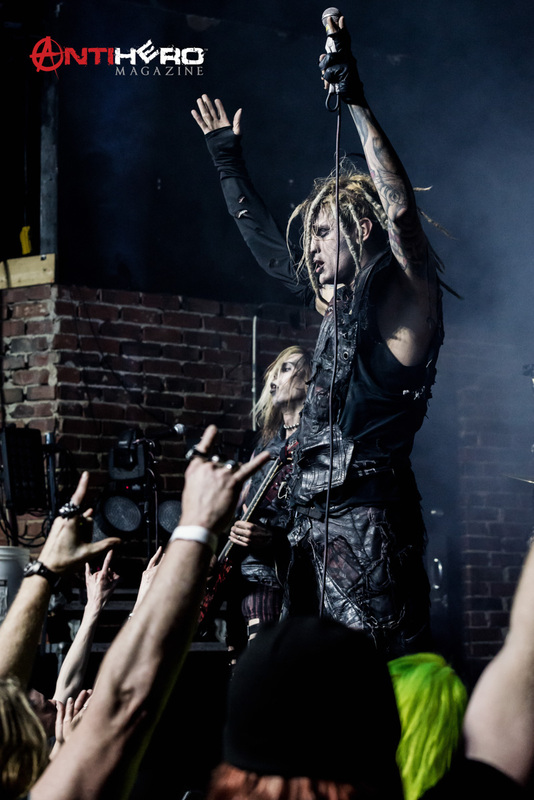 Davey Suicide: I think this might be our favorite tour that we’ve done in six years. It’s a perfect demographic. 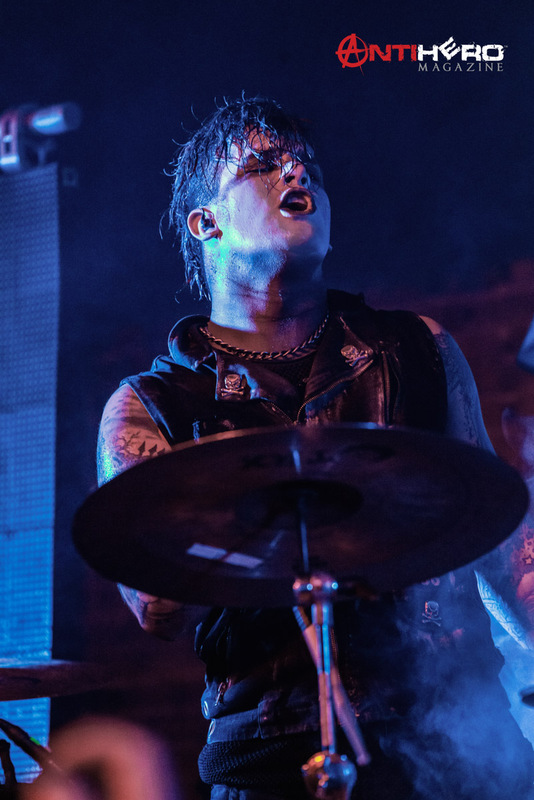 The Dope fans are just eating it up, Combichrist as well. And I’m just shocked, I guess. I didn’t think it would go this well, and it seems like we have a crazy, new groundswell around the band right now, which is really exciting. 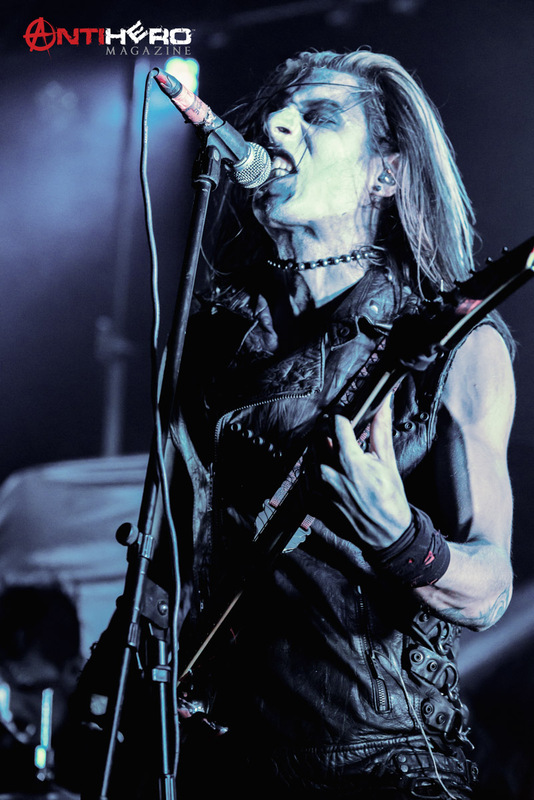 James Geiser: And what is it like touring with bands that have been established for a while? 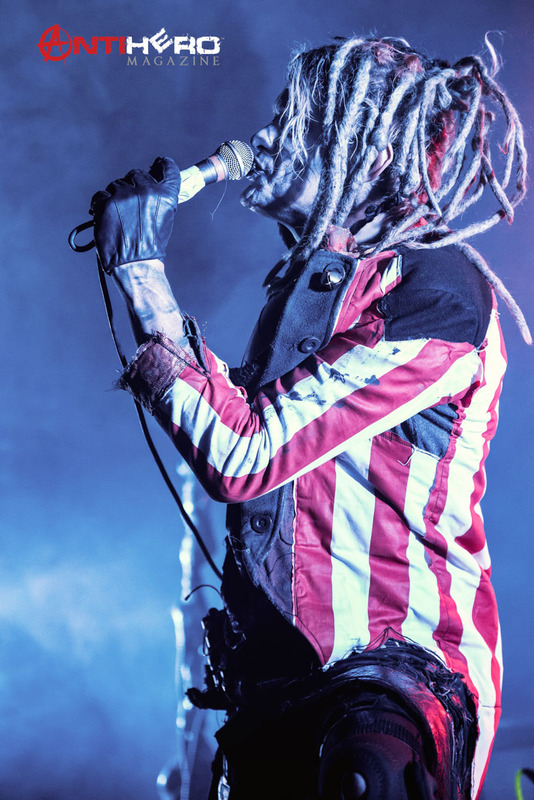 Davey Suicide: I think it raises your level of professionalism. It makes us a better band. I love being challenged, and I love learning from people that have been doing it longer than us, and … I don’t know. It’s cool, man. I mean, these are bands that we kind of grew up listening to, and now we’re touring with them, and we’re friends with them now. And it’s the passing of the guard, if you will. It’s a humbling thing, too, to earn mutual respect from guys like that. James Geiser: The new album came out and it was kind of like a rebirth for the band. Especially with the whole deal with the record label, and stuff like that … The name fit it perfectly. How did you guys go with picking the name, and kind of moving in the new direction? 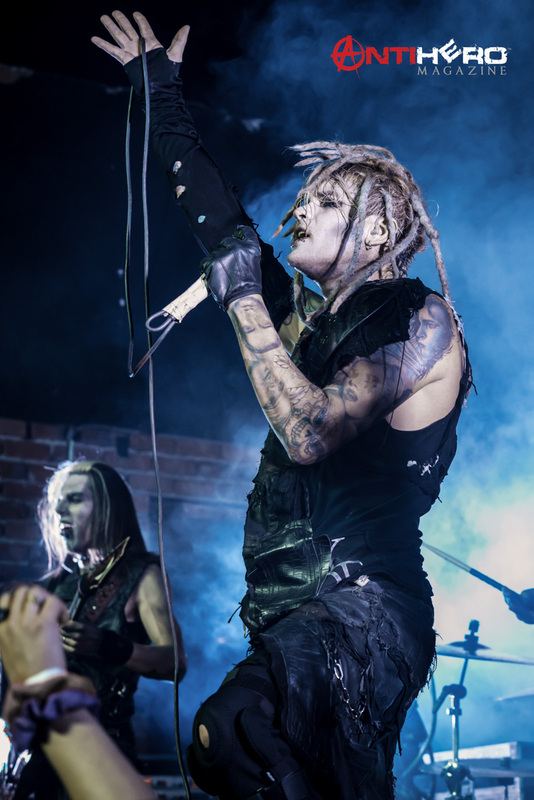 Davey Suicide: Well, Made From Fire is something that Needles and I came up with, and we had the song, and to just … We’ve always said that, you know, you either burn in it, or it makes you. And we could have broken up a million times, throughout the course of us being in that terrible record label situation, and that adversity really bonded us together. It really made me realize how much my band cared about me as a person, because they stuck by me through it all. And it really made it worth it, to create this album for the fans, because they are the reason that … You know, when we had nothing coming in from the label, the fans appreciating us was what kept fuel in our tanks to keep going. You know what I mean? So, it’s kind of how it happened. But, yeah. James Geiser: That’s awesome, and I’m not going to touch on the record thing too much. 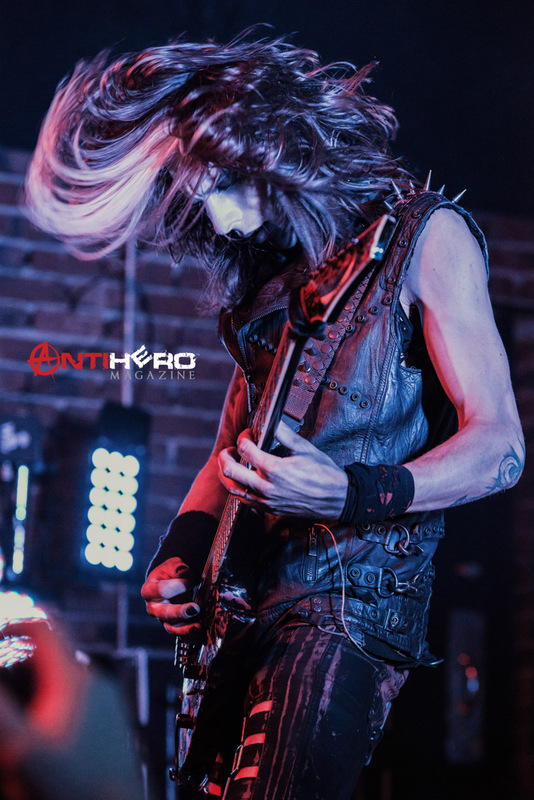 However, the main topic that I really wanted to talk to you about – and this is why it was so important for us to talk to you – is a lot of major bands are starting to make that turn, to go back independent in buying the rights to their music all over again. What do you think is influencing that trend with bands like Adelita’s Way, Icon For Hire just recently did it as well, and now you guys? 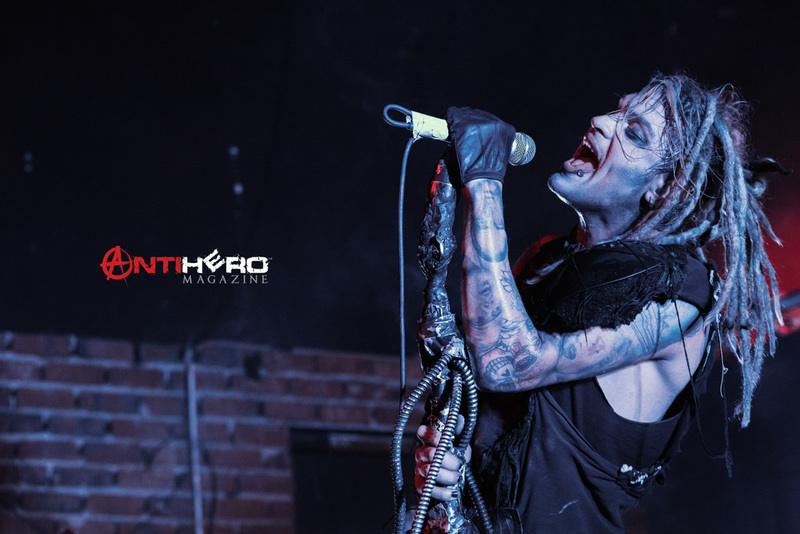 Davey Suicide: I think when you realize that most labels write off so many ridiculous expenses, and they inflate their expenses so much, you realize they’re not shooting you straight. And to get to your recoup number is almost impossible, because of the way they skew it. 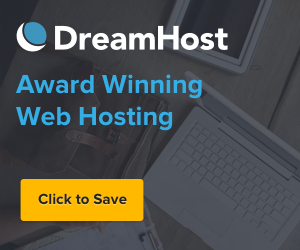 And when you realize that the outlets that they hire are accessible to you, if you have the money, when you can self-generate it yourself, and you know where the paper trail’s going, then suddenly you can be the same business. And you can get the distribution, and then you can invest where you want to invest. You know, the labels work for people who have no money, who have nothing. 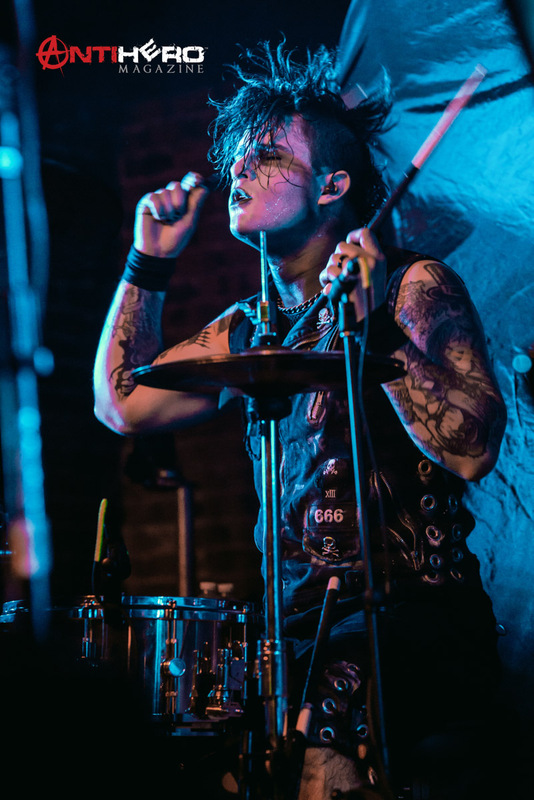 But once you start, when you get your band going, and you have a fan base that’s willing to buy into what you’re about already, then it … The need for a label goes away, because if you’re a weird band, you don’t need distribution into Best Buy and stuff, because you’re not going to be in there anyway. You know? Because I feel like that’s where it’s headed. And shame on the labels for not shooting bands more fair. James Geiser: With the control of your own music, how important is that to you as an artist? Being able to control what happens with the stuff that you guys make. 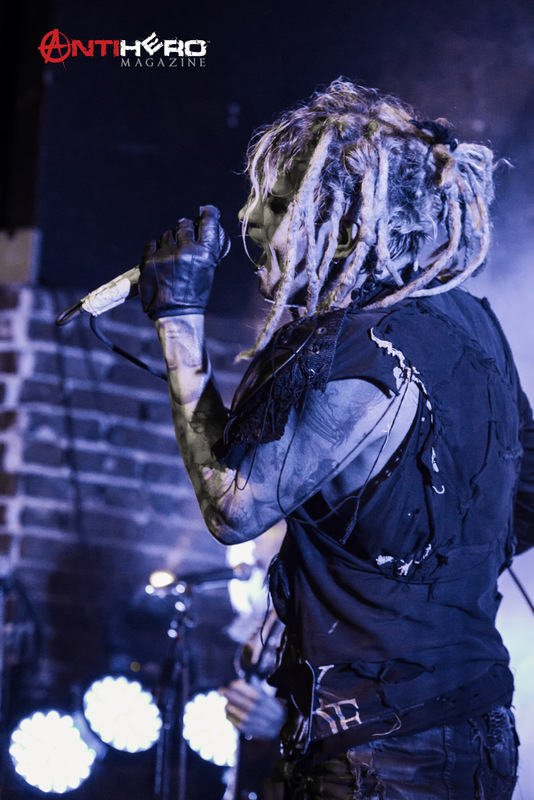 Davey Suicide: Well, we always had control over creating music. Like, our label never had affected what we wrote or what we recorded, or any versions of any song. Like, we pretty much dictated, artistically, what we did, since day one. I think being able to pick what mediums you want, if we wanted to get vinyls, we could do vinyls – that’s cool. But, I think, it’s hands-on, and it’s how DIY this band is … The fact the we can maintain everything now is really special. And I was scared. I didn’t know how this was going to work out. I didn’t know if people were going to be into it. I didn’t know if we were going to be successful or anything, and we took the jump, and it worked out, and it’s very rewarding. How important is that statement that you made to the music industry right now? 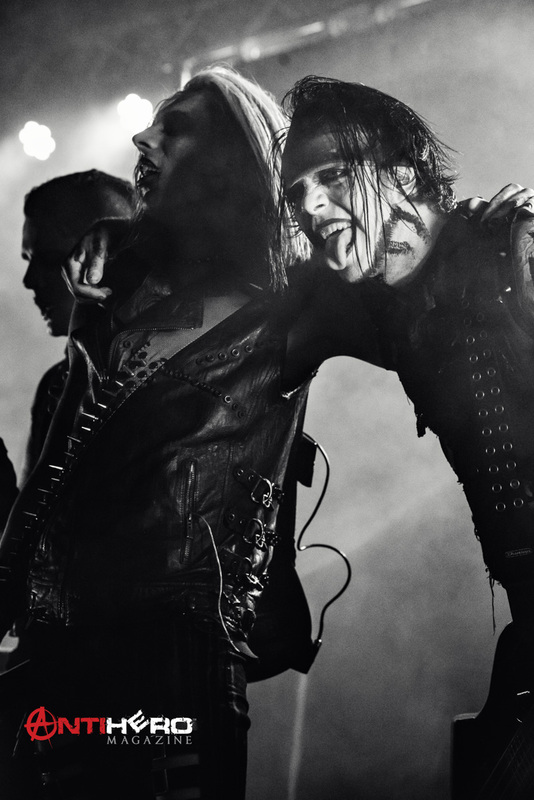 Especially rock because it seems like too many genres are blending together, and rock is losing its identity. 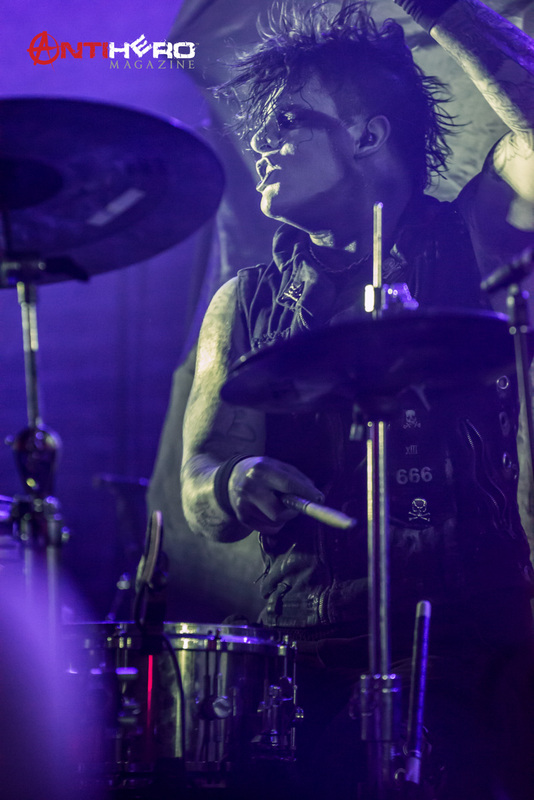 Davey Suicide: Well, because these bigger rock bands end up becoming formula bands. They hire songwriters, because they don’t have any creativity left. So, they hire the songwriters that write for five or six different bands, and they all end up sounding the same. And you can tell those bands from a mile away, and the thing is, fans can tell, too. They can see through it, and the bands that are genuine, that have some core substance to them, are the ones that are going to cut through. And they’re the ones that are going to stick around, and when every trend disappears, there’s always the few that outlast the big tsunami that crashes and wipes away a trend. And I’m pretty sure we’re going to be one of them. James Geiser: Absolutely. Is there anything else that you’d like to add that we didn’t touch on? 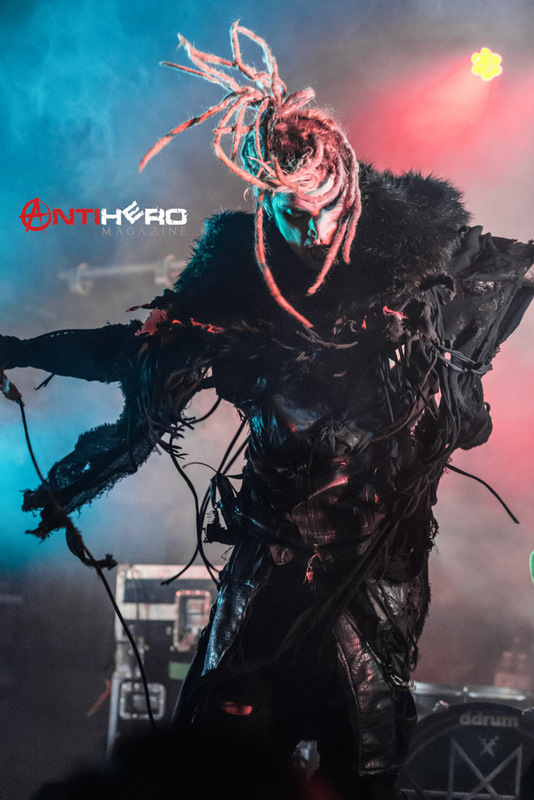 Davey Suicide: Made From Fire is out. It’s in FYE, Best Buy, Target … Yeah, and I’m really proud of this record. We put everything we had into it, and it’s an amazing feeling to see people receive it as well as we hoped, and I’m looking forward to the next tour cycle. This is going to be a great year for us, and “Thank you,” to the fans who’ve stuck by us, and really made us feel like this whole thing is going to be all right. The tour is currently wrapping up but there are talks that the band will head back out in the fall for a possible second tour. 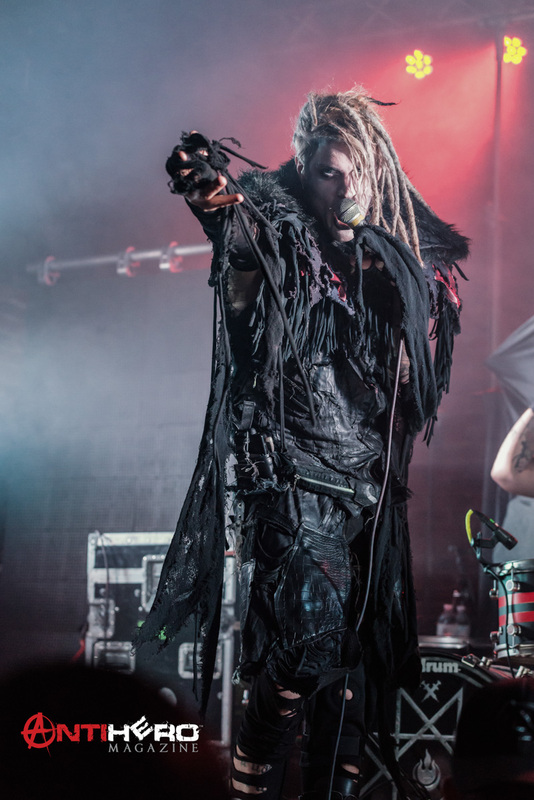 However, nothing has been confirmed on the next time Davey Suicide will take the stage after the conclusion of the Blood, Lust and Death Tour. 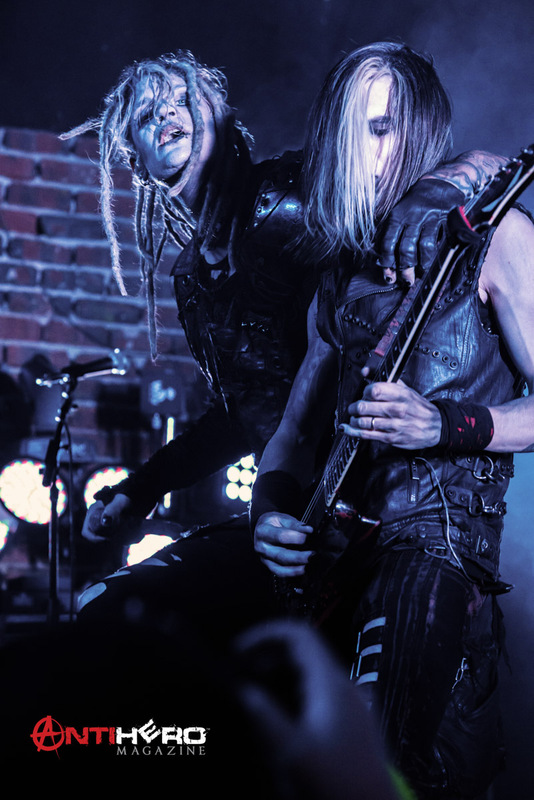 You can order and download Davey Suicide’s Made From Fire album on the band’s website and on all major streaming and downloading services.